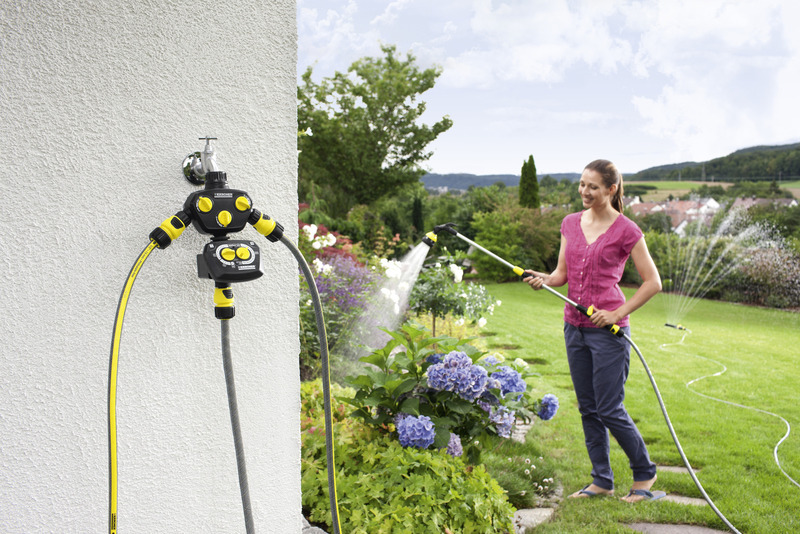 Watering Unit WT 4 26451740 https://www.kaercher.com/ie/home-garden/watering-systems/automatic-watering/watering-unit-wt-4-26451740.html Easily progammable watering unit for watering on demand. Watering starts and stops at preset time. With removable display. With tap adapter and pre-filter. 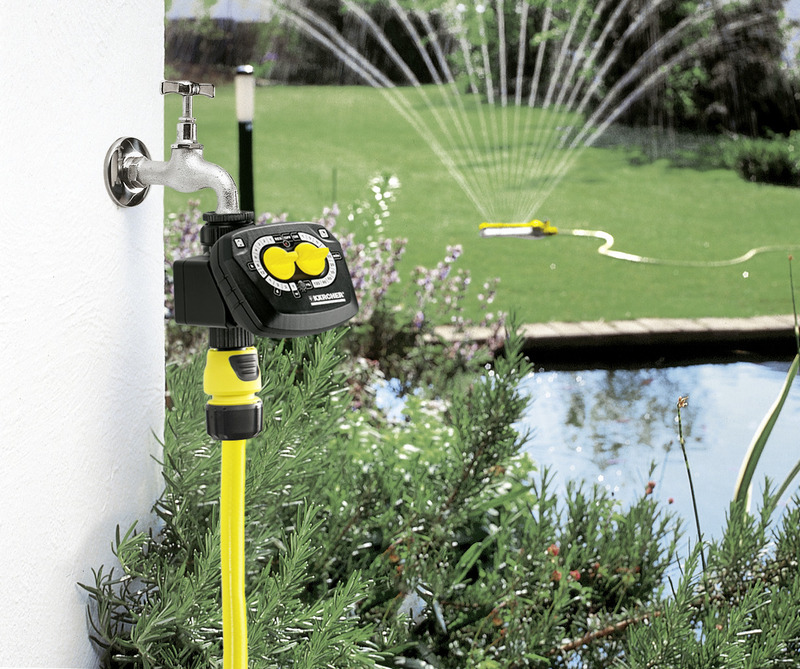 Precise watering on demand: The new Watering Unit WT 4 is especially easy to program. The removable display, the large control knobs and the clearly arranged panel makes the programming easy and effortless. The maximum watering duration goes up to 120 minutes. The watering starts and stops right on schedule and automatically to a preset time. 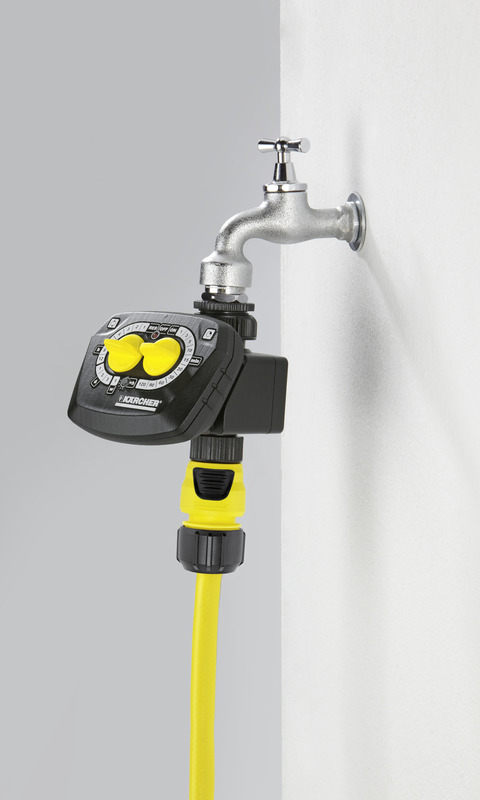 Tap adapter and prefilter are included, the 9-Volt-battery not. Therefore the water does not flow unless it is actually needed. This is good for the environment while it also saves money. 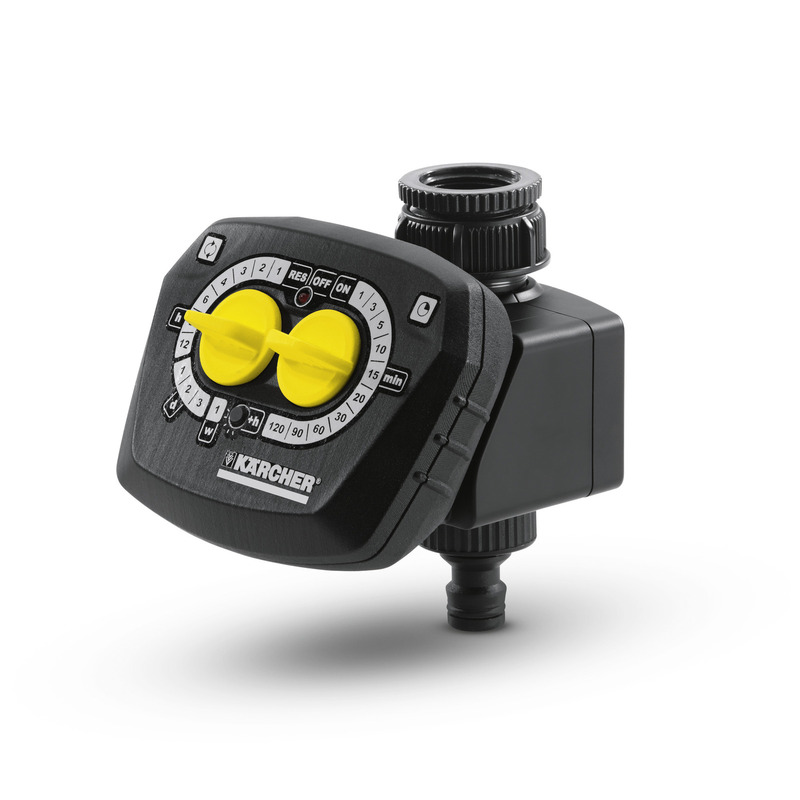 Kärcher water timers are compatible with all common click-on systems. 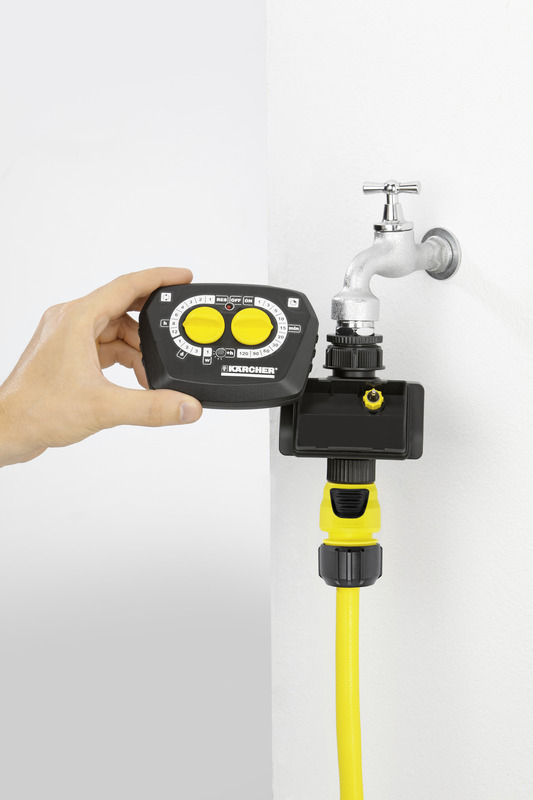 Watering Unit WT 4 is rated 2.7 out of 5 by 3. Rated 5 out of 5 by michaeljdhart from Simple and effective Another reviewer seems to have misunderstood the way the unit is programmed and how it controls watering frequency. It is not a traditional timer; on the left hand side you set the interval between watering e.g. every one hour, say, or every five hours (odd choice but there you go), or the number of days between watering. On the right hand side you set the duration of the watering session. So every day at 18:00 for an hour would mean (I believe) setting an interval of one day and a duration of one hour and making these settings at 18:00. Then the unit would, every 24 hours run the water supply for one hour. The available frequency options and durations provide adequate flexibility for nearly every gardener. Rated 1 out of 5 by I have no nickname from unusable We have 24 hours in our day your timer has only 12 ! I want mine to start at 18.00 hours ! ! !